Nets open 06-16, netmeter hours 3100. Almost no wind in the morning, turning NW and increasing around 12. Mostly cloudy but some sun in the afternoon. Ringed: White Wagtail 2, Meadow Pipit 1 (first this season), European Robin 5, Common Blackbird 2, Goldcrest 7, Brambling 1, Common Linnet 1 (first this season),Yellowhammer 1. Total = 20. Also 7 controls. 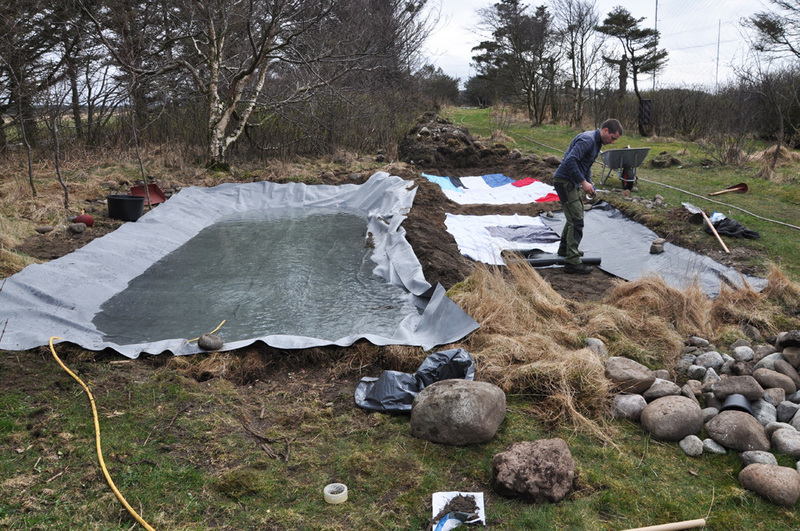 Two of the three new ponds were filled with water today, in these one we will experiment with some aquatic plants/reeds. Two new ponds close to the observatory buildings. Observations: Gyrfalcon: A 2cy took a Herring Gull in the fields west of the station in the morning, then sat on the prey through the whole day. Lots of Black-headed Gulls feeding in the surf at Reve kai in the afternoon. 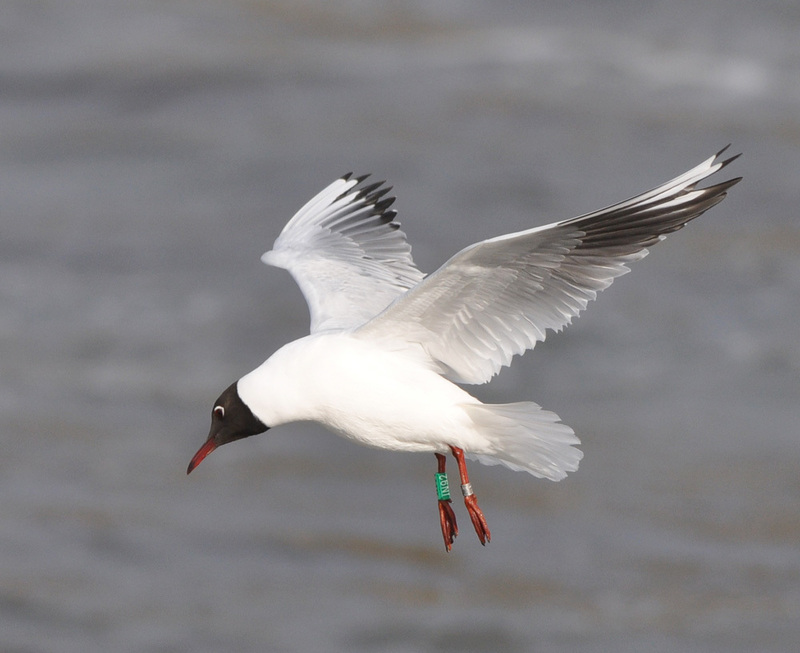 We were able to read 10 colourringed birds among then, including JN92 that was ringed as a chick in Risavika a little further north in June 2014.